Failure is a good thing right? This is the post I've been putting off writing. First, I'm not happy with my photos. Second, I just thought this project would turn out better than it did. I'm a bit unsure about the whole thing. 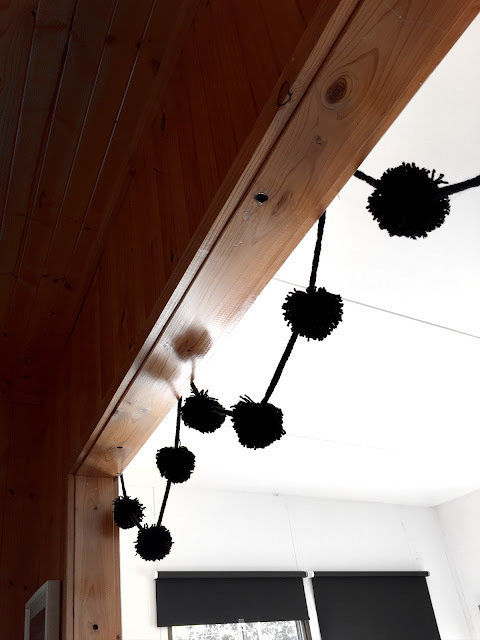 I had visions of this being some totally awesome thing, I mean, pom poms AS A GARLAND! Sounds like a winner I thought! It could just be the execution, which I could work on. They make the cord hang angularly. It all started out because I have an obsession with pompoms. I started off just doing it old school, making cardboard templates and using up what scraps I had. But more on them later. 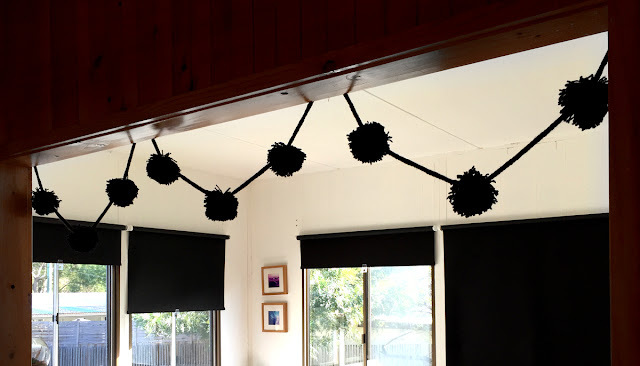 I became inspired by this supposedly great POM POM GARLAND idea and ended up buying black acrylic for this project. I also bought a french knitting bee tool to make the cord, which turned out just lovely, although it did take at least two nights I think, so one where you twist the handle would be good. And the pom pom makers below. I know I could just cut more cardboard, but all I had access to was corrugated, which doesn't really hold up that well for repeat use, and I was wanting something that would work up more quickly. I don't know if I'm using them wrong, but as far as I can see, they make a pom. Not a pom pom. 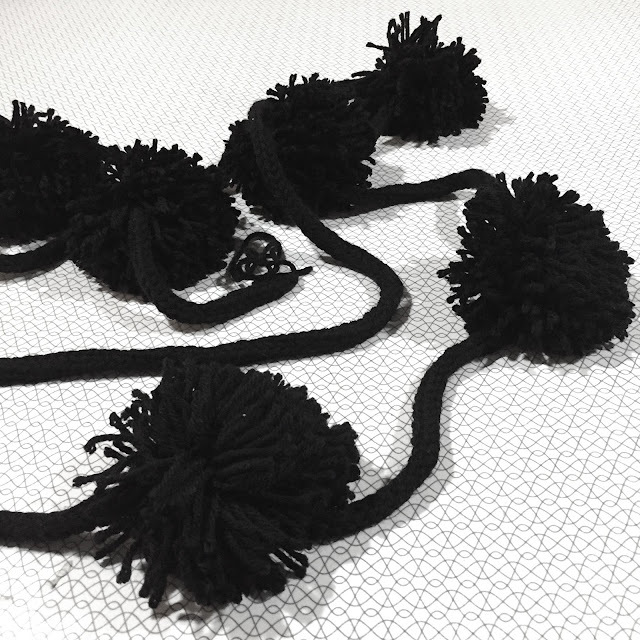 They end up too shaggy and loose, nowhere near enough yarn in each one to end up really thick, fluffy and spherical. Possibly I should make two halves and tie them together? Clearly I should have watched this video first. If it wasn't for the fact I just watched him make them, I wouldn't believe they were made by hand. These tools aren't all that cheap here in Australia though. So there you go, I'm not quite sure where to go with this idea now. 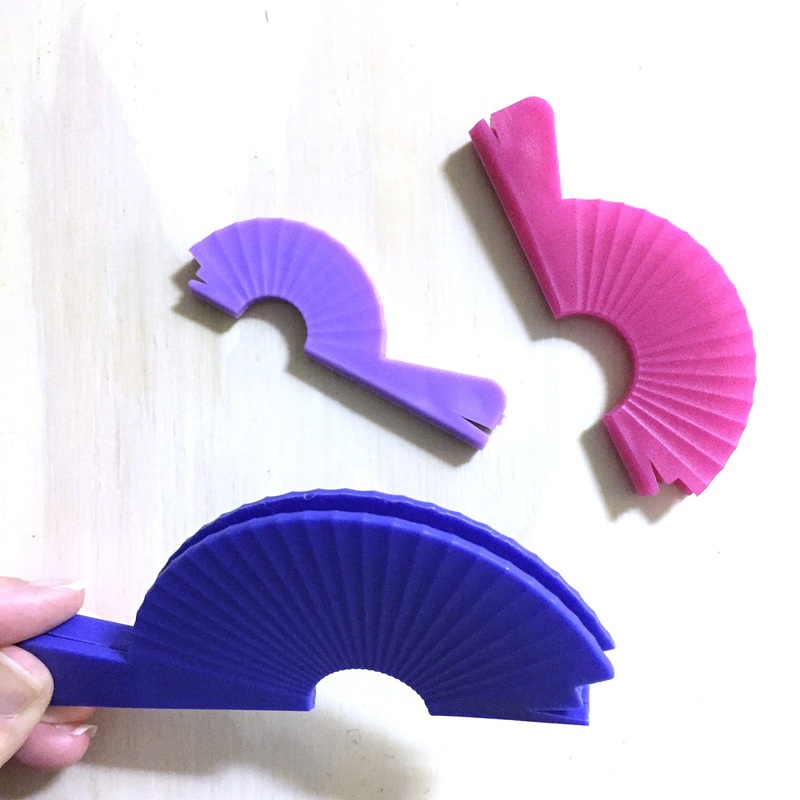 Possibly try using the pom pom tools and making two halves? Maybe leaving the whole garland idea and moving on to other pom pom projects. Can you run beading wire through the Icord to get it to hang how you want it to? You should teach bigger how to use the french knitting tool, hours of entertainment and 6 squillion kilometres of Icord can be created during a school holiday.